Christy Torres of Foundations Communities in Austin contacts people who bought insurance on Healthcare.Gov. to tell them it's almost time to renew. Starting next week, Americans will again be able to shop for health plans on the Affordable Care Act marketplaces. Open enrollment in most states runs from Nov. 1 through Dec. 15. But a lot of people don't know that because the Trump administration slashed the marketing budget for Affordable Care Act, also known as Obamacare. So states, municipalities, community groups, insurers and others are strengthening their outreach efforts. In Texas, some cities and local governments are doing their best to get the word out, but it will be hard to reach the more rural communities. In California, the state's marketplace plans to aggressively advertise and will focus on Latino consumers. And that will be difficult this year, says Christopher Graves, president and founder of the Ogilvy Center for Behavioral Science. He says the way human brains are wired, it just doesn't make sense to us to buy something now that we may not need for years. "Health insurance has to be the toughest thing on earth to sell," he says, "Especially if you're trying to sell it to somebody who's young, healthy, and has not had some catastrophe, health-wise." That could describe most Latinos in California. That is why they're a primary target of the state's marketing and outreach strategy. Latinos represent 38 percent of the marketplace's potential customer base but only 30 percent of people who actually enroll. The more healthy Latinos sign up for insurance, the more their premiums help balance the costs of older, sicker Californians. By cutting the advertising budget, the Trump administration has made the already difficult task of selling a product people don't want to think about even harder. And the Republican drumbeat of "Obamcare is imploding" has been all over the news during the battles to replace the law this past year, causing confusion over whether the ACA still exists. So California plans to invest $111 million to counteract the negative press. And it will spend 30 percent of its media buy on Spanish language ads. California is on the defensive, says Lizelda Lopez, deputy director of communications at Covered California, the state's health insurance marketplace. "Even if they're hearing, 'The Affordable Care Act is going away,' we're saying, 'No, no, not yet, not yet.' "
Carlos Santiago is president and chief strategist at Santiago Solutions Group, a research consulting firm. He fears that message could be too simple. "To convince someone that was uninsured to get it for the first time, obviously that message is not going to work, especially not this year," he says. Plus, Santiago continues, the belief that illness won't happen to you is entrenched in Latino culture. "Latinos are extremely, extremely positive and overly optimistic," he explains. That is one reason, he says, they are more likely to be uninsured than other groups. The mindset is: " 'We don't need to worry so much about today. Things will be OK.' And obviously when it comes to insurance, that's not exactly what it's all about," Santiago says. Covered California does have some more dramatic ads. In one, a young Latina woman shows pictures from her wedding day and talks about suddenly finding out she needed a heart transplant. She says that without her health plan from Covered California, the surgery would have cost $1.5 million. Santiago says hearing the personal story of someone whom Latinas can relate to is good. But he and Graves agree that if the message is too scary, it could backfire. "That trade-off is people stop taking action. They basically become paralyzed by how overwhelming it is," Graves says. In Texas, some groups are taking another tack — a direct one. Victoria Ortega of Foundation Communities, an advocacy group that provides housing and other services for low-income people in Austin, Texas, sits at a desk with a laptop open to a spreadsheet. Her screen is full of names, and her cellphone is in her hand. "So far I've had about 15, maybe 18 calls," she says. 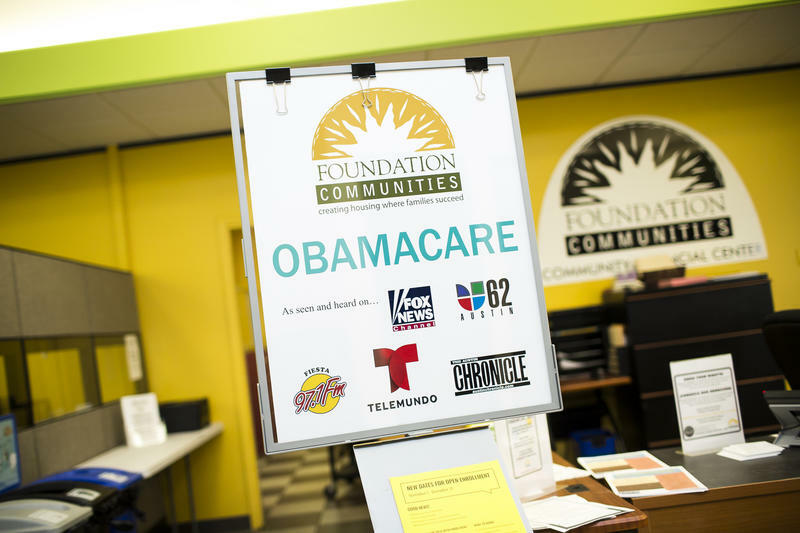 Foundation Communities is among the groups working hard this year to get the word out about open enrollment. Texas has been far more dependent on the federal government for signing people up than California has been. But this year, that work is falling to local governments and activists. Ortega has been calling people who currently have an insurance plan they bought on Healthcare.Gov. She is letting these folks know it's time to sign up again. She stresses that people they have less time to sign up this year. In 2016, people had three months to sign up for 2017 insurance. This year, in most states, they only have six weeks. "A lot of the people were not aware of the short time. And they are very interested. They really are wanting to renew," she says. 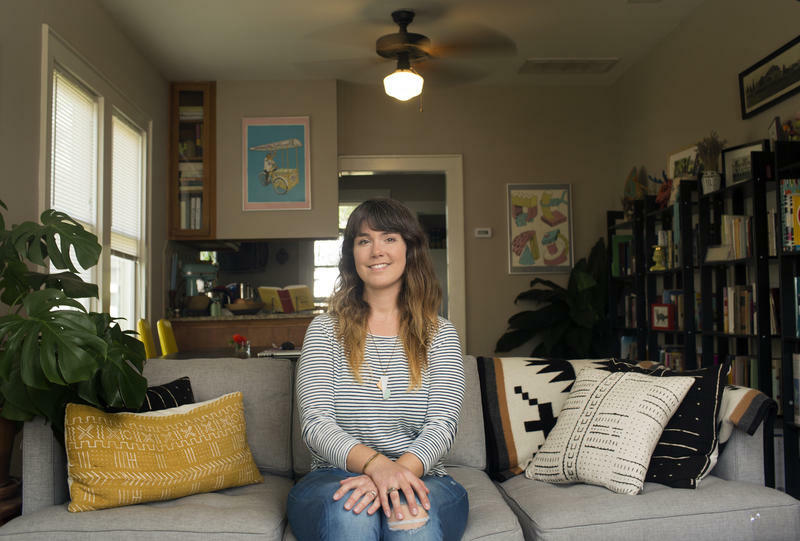 Maggie Jo Buchanan works with a national group called Young Invincibles, which encourages young adults to sign up for health insurance. "All of us nonprofits on the ground really feel that urgency and that need," she says. "In past open enrollment periods, officials from HHS would be on the ground and announcing the start of open enrollment and getting media outreach. We are just not going to see that." In Texas' bigger cities, local taxpayers are also filling in the gap. Austin is spending a lot more money this year on outreach efforts. Michelle Tijerina works for Central Health, which provides health care for low-income people in Travis County and is funded by local property taxes. "We will have ads on radio — English and Spanish. We will be on Facebook. We will have Google ads and banners. We will be out in the community, talking to schools," she says. Tijerina says Central Health is also hiring twice as many people this year to help folks sign up once enrollment starts. They're called navigators. The Trump administration cut Texas' navigator budget by a third. She says folks in Austin likely won't notice, but rural areas don't have the same kind of health care infrastructure. That worries Foundation Communities' Elizabeth Colvin. "Because those programs have lost funding and there is no one in those communities to step up and replace the navigators," she says. Texas also declined to expand Medicaid to more low-income people under the Affordable Care Act, so the marketplace has been the main driver for lowering uninsured rates in the state in the past several years. Still, Texas has the highest number and rate of uninsured people in the country. This story is part of a reporting partnership with NPR, KQED, KUT and Kaiser Health News. Starting November 1, people will be able to enroll in health insurance for next year on the Affordable Care Act marketplace. In Texas, officials from the federal government used to get the word out. This year, though, that work is falling to local governments and activists. Ashley Lopez from KUT in Austin reports. ASHLEY LOPEZ, BYLINE: Victoria Ortega is sitting at a desk with a laptop open to a spreadsheet. Her screen is full of names, and her cellphone is in her hand. VICTORIA ORTEGA: So far I've had about 15, maybe 18 calls. LOPEZ: Ortega works at Foundation Communities in Austin and has been calling people who currently have an insurance plan through the Affordable Care Act, also known as Obamacare. This online marketplace was created for people who don't get health insurance from an employer, Medicaid or Medicare. Ortega is letting these folks know it's time to sign up again. LOPEZ: Ortega also stresses that people have less time to sign up this year. During the last enrollment period, folks had three months to sign up. This year, in most states, they only have six weeks. ORTEGA: A lot of the people were not aware of the short time, and they are very interested. They really are wanting to renew. LOPEZ: Foundation Communities is among groups in Texas working hard this year to get the word out about open enrollment. That's because the Trump administration's health department, known as HHS, slashed money for advertising by 90 percent this year. Maggie Jo Buchanan works with a group called Young Invincibles which works to get young adults signed up. MAGGIE JO BUCHANAN: All of us nonprofits on the ground really feel that urgency and that need. You know, in past open enrollment periods, officials from HHS would be on the ground and, you know, announcing the start of open enrollment and getting media outreach. We're just not (laughter) going to see that. BUCHANAN: In the state's bigger cities, local taxpayers are also filling in the gap. LOPEZ: Austin is spending a lot more money this year on open enrollment. Michelle Tijerina works for Central Health, which provides health care to low-income people, funded by local property taxes. MICHELLE TIJERINA: We'll have ads in radio - English and Spanish. We'll be on Facebook. We'll have Google ads and banners. We'll be out in the community talking to residents. We'll be in the schools. LOPEZ: Tijerina says Central Health is also hiring twice as many people, known as navigators, to help folks sign up once enrollment starts. The Trump administration also cut Texas's navigator budget by a third. But, she says, folks in Austin likely won't feel those cuts. 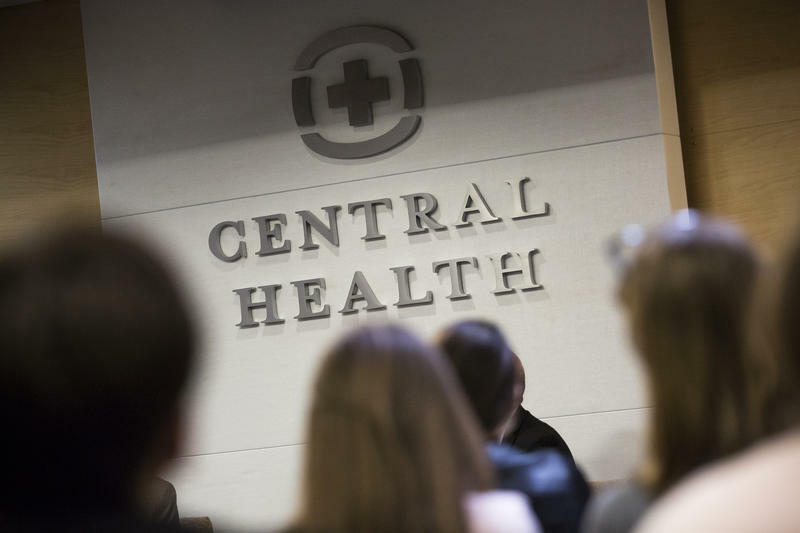 TIJERINA: Because Central Health has been dedicated to providing so many local efforts to our residents. LOPEZ: Back at Foundation Communities, Elizabeth Colvin says she worries about rural parts of Texas, though. ELIZABETH COLVIN: Because those programs have lost funding and there's no one in those communities to step up and replace the navigators who are no longer funded for those communities. LOPEZ: These areas don't have the same local health care infrastructure. And Texas did not expand Medicaid to more low-income people under the Affordable Care Act. So the marketplace has been the main driver in lowering uninsured rates in the state in the past several years. Even with the Affordable Care Act, though, Texas has maintained the highest number and rate of uninsured people in the country. For NPR News, I'm Ashley Lopez in Austin. BLOCK: This story is part of a reporting partnership with NPR, KUT and Kaiser Health News. Transcript provided by NPR, Copyright NPR. Open enrollment for health plans through the Affordable Care Act starts Nov. 1. But, this year, cutbacks in federal money for outreach efforts for potential enrollees could mean fewer people signing up for health insurance in Texas. 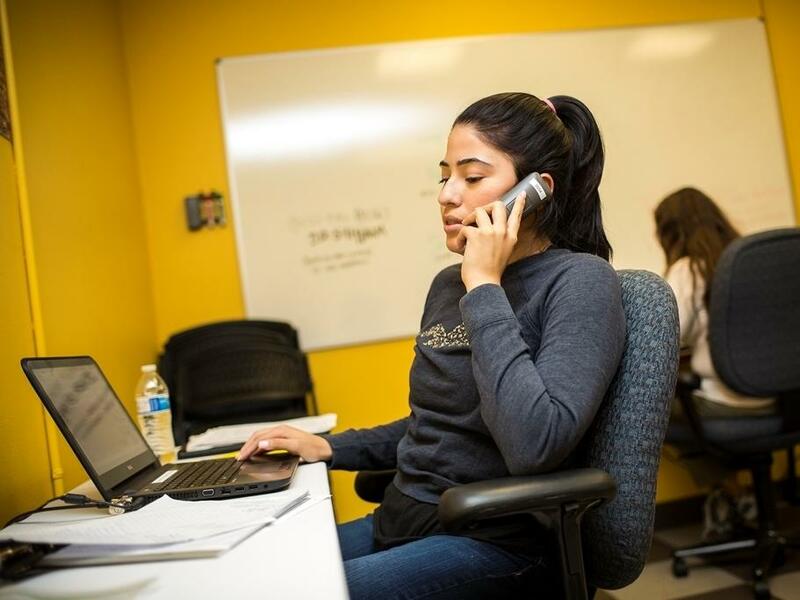 That gap in federal outreach means the work of getting people signed up could fall squarely on local advocates like Vitoria Ortega of Foundation Communities. The fourth open enrollment period for health insurance through the Affordable Care Act marketplace is less than a month away. This time things will be different, though. Nora Chovanec showed off the chickens in her backyard last March while talking about a newly proposed Republican health care bill to replace Obamacare. The 29-year-old was on a health care plan through the online marketplace created by Obamacare. It allows people who don’t get insurance through an employer to buy a plan on their own.